The 40 rooms available at Square Small Luxury Hotel are immersed in a sophisticated and tasteful atmosphere in order to create areas of unique design where you comfort is always guaranteed. 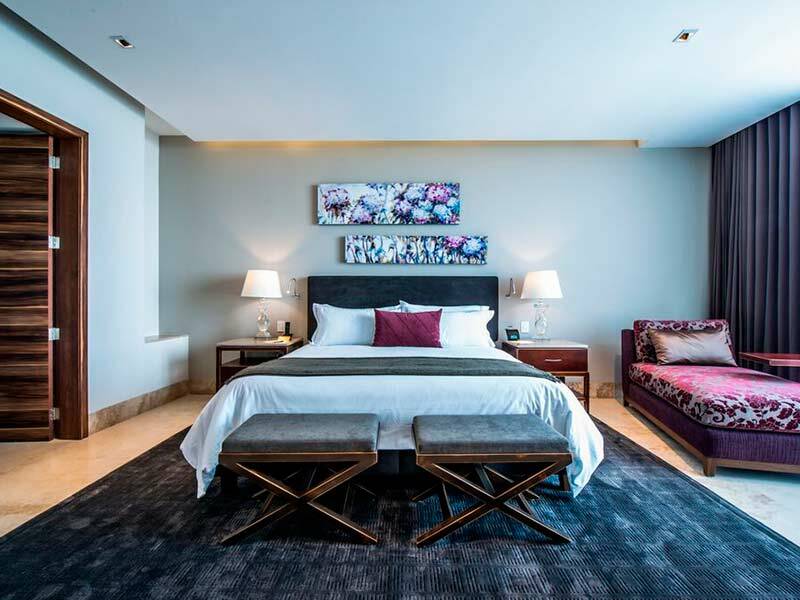 Each one of our rooms offers cozy or queen size bed with impeccable bedding and our luxury Guadalajara hotel’s signature amenities and services, such as Nespresso coffee machines and 50’’ Smart TV’s. The results are modern and intimate rooms, as practical as they’re comfortable, where you can rest, relax and have a great time. These beautiful rooms are designed to accommodate families or groups of friends, as they have capacity of up to 4 people. Equipped with two queen size beds and a generous list of services and luxurious details in every corner to surprise and delight. Here you’ll get the rest you deserve and then some, since the Master Room offers luxury, sophisticated atmosphere and the Square Small Luxury Hotel’s distinctive services. This is a 430 sq. ft. room with one king size bed and space to comfortably accommodate 2 adults or 1 adult and 1 child. Our Guadalajara hotel’s favorite suite blends luxury and modern and creative design with mexican warmth to bring the ultimate comfort. This is the most spacious room, equipped with 1 king size bed to sleep up to 2 adults (no children); among its elegant furnishings you’ll find a chaise lounge with service table that invites to a quick yet pleasant rest.